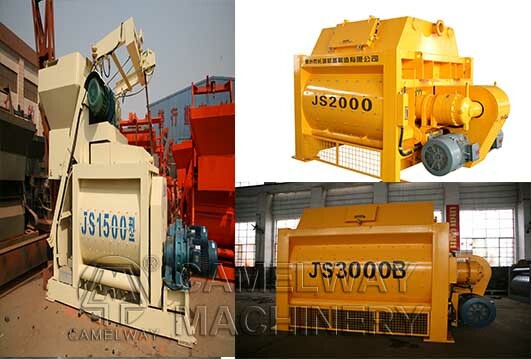 JS series concrete mixer has features of excellent performance and high production efficiency, it not only can be used independently but also can form a simple concrete batching plant with aggregate batching machine, it has won good reputation from customers. Although many kinds of concrete can be mixed by twin shaft concrete mixer, there are some exceptions; therefore, customers need to get to know the special situations. As a professional concrete batching plant producer, we can provide high-quality products and professional suggestions. The next matter is nominal parameter which is not allowed to be exceeded when users putting materials or operating other systems. Before working, water pump should be checked whether there is water. Daily cleaning work must be done to ensure cleanliness of the machine. It is beneficial to find the problems and settle them timely if daily maintenance has been done well by users. Finally, what can prolong service life of the machine is not 24 hours of working but appropriate rest. JS twin shaft concrete mixer is a machine owning high automation, so it is easy to operate under all conditions except for overload.